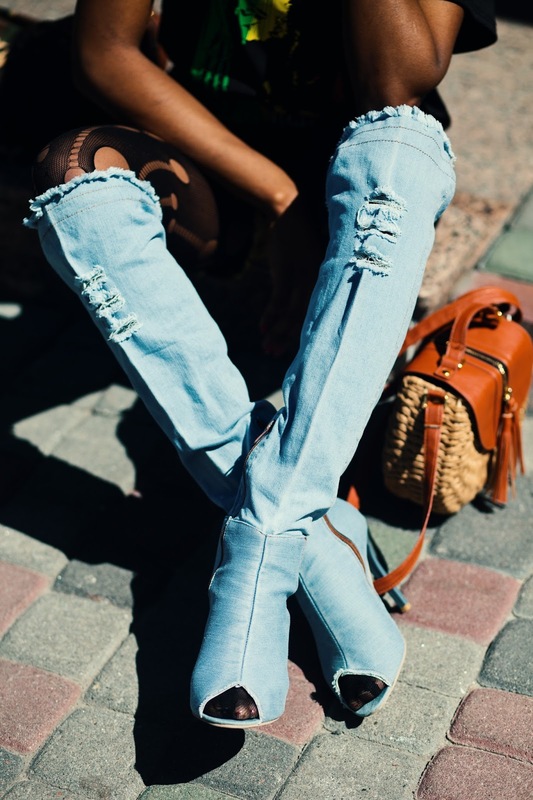 This statement boots are actually made of “real” denim with authentic distressing and rips! And while denim fabric-covered shoes aren’t exactly news anymore. Denim boots that are pretty much a stand-in for full-length jeans certainly are. Perhaps this is the sexiest rendition we’ve seen on denim in a while. 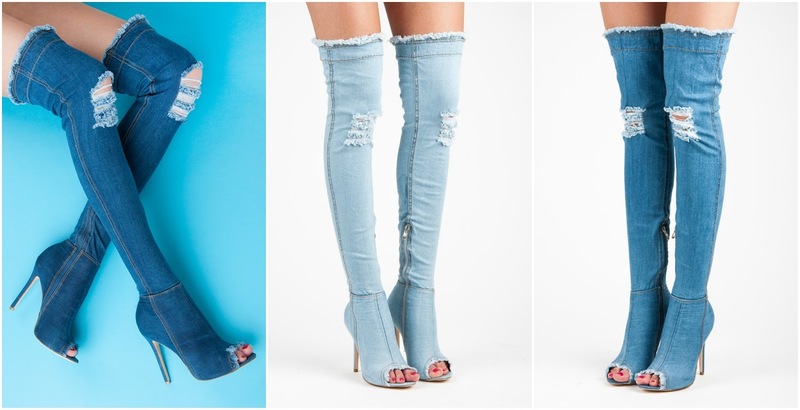 Chicme.com Fashion Ripped Open Toe Knee-High Demin Boots. This is a nice denim boot but not as long as the picture on the website shows.